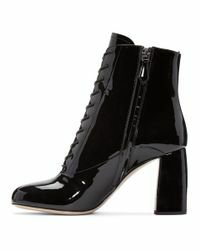 See more Miu Miu Ankle boots. 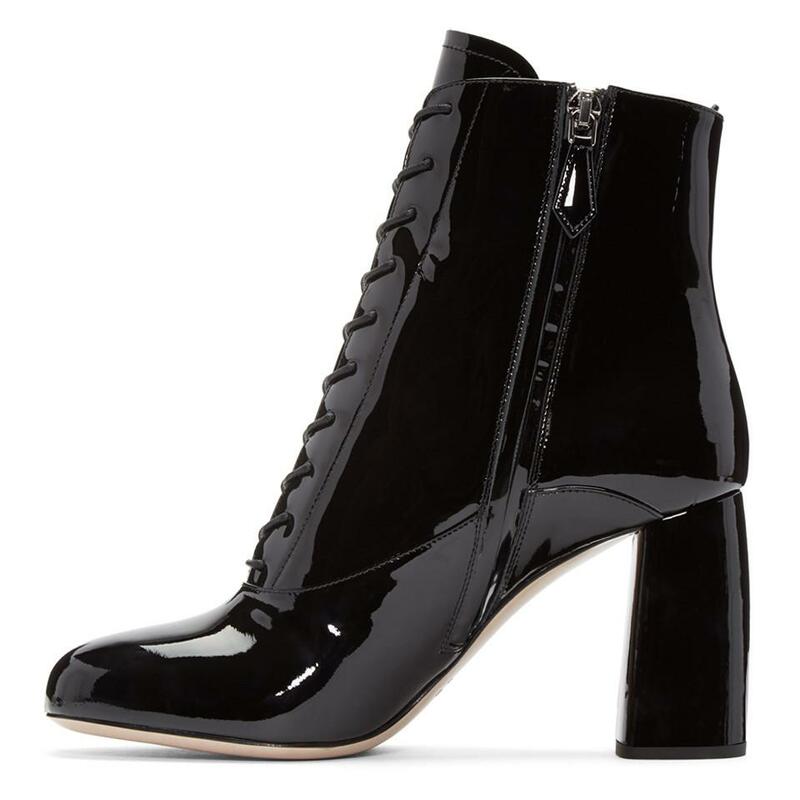 We check over 450 stores daily and we last saw this product for $489 at SSENSE. 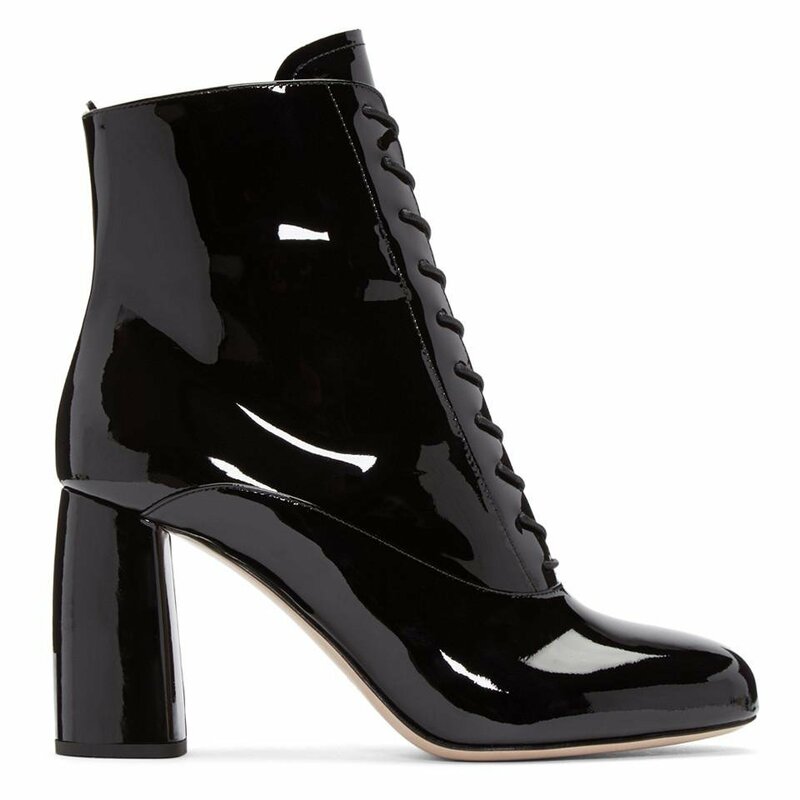 Miu Miu's black patent-leather ankle boots are constructed with a round toe. Detailed with a sturdy sole, this lace-up style will add urban appeal to your shoe collection. Wear yours with a laid-back denim dress at the weekend.